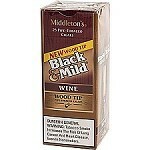 All of the aromatic old-fashioned appeal of a pipe without the cleaning, scraping, filling, and tamping! 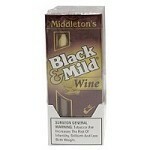 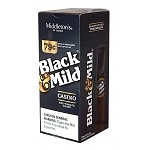 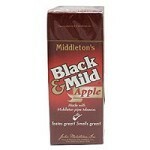 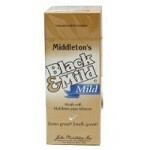 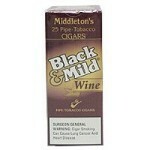 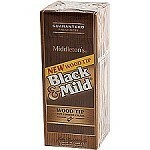 The machine-made Black & Mild cigars offer all-around enjoyment to the fragrant-cigar fan or pipe enthusiast on the go. 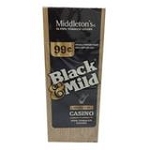 Featuring a famed name in fine pipe tobaccos, The machine-made Black & Mild cigars—all built in a slim 5 x 30 size perfect for the shorter cigar break—are manufactured right here in the USA to provide a mellow strength profile and an array of flavors that have become favorites of pipe and cigar smokers alike. 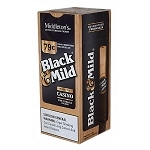 Value-priced, and available in boxes of 25 or sets of 10 convenient 5-packs, Black & Mild pipe-tobacco, plastic-tipped smokes are always an easy and economical option when shopping online to buy engaging and aromatic machine-made cigars.